I work with plant material using experimental methods involving outdated photographic materials. The processes is called Lumen printing. 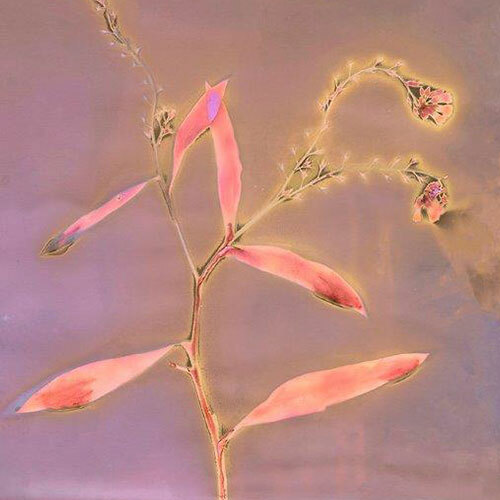 The botanical source creates a drawing of itself through the interaction of the chemicals of the plant form and the chemicals in the photographic paper, through extended exposure to sun.